‘When She Rises, We All Rise’: in 2018 global consulting firm Accenture released its comprehensive report, considering the key contributory drivers to the creation of gender equality within the workplace. Based on survey data of more than 22,000 men and women across 34 countries, these findings identified 40 factors statistically shown to support the advancement of women at work, highlighting the need for cultural changes as well as the implementation of policies and programmes, and emphasising the importance of unlocking women’s potential and creating a workplace culture where all can thrive. In lieu of International Women’s Day in 2019, we consider the rise of gender equality in employment – and the work that remains to be done. 2018 was a seismic year for women. The ‘Me Too’ movement was borne of a term originally coined by civil rights activist Tarana Burke in 2006, and revived as a result of multiple accusations of sexual abuse levied at American film producer Harvey Weinstein in the New Yorker in October 2017. The report had an explosive impact, resulting in global protest movements, social media campaigns and multiple women in the film industry and beyond talking openly about their own experiences of assault, harassment and inequality. The public nature of these raw disclosures on such a scale was unprecedented; it, in turn, prompted an outward ripple of accusations and allegations within other industries, dubbed the ‘Weinstein Effect’. In response to this worldwide call for change, on January 1 of last year ‘Time’s Up’ was created: an organisation advocating for widespread gender equality within the workplace, constructing and fundraising for a legal defence fund to support lower-income women seeking justice for abuse and assault. Scores of female celebrities sartorially declared their support for the organisation’s aims, donning all-black outfits at awards ceremonies throughout the year and visibly advocating for more robust responses to workplace-based abuse. That transparency and visibility, so palpable in 2018, is now a core driving factor in the advancement of work-based equality. From the record-breaking 127 women elected to the 116th United States Congress to the females currently occupying senior positions in industries across the globe, in 2019 organisations and governments alike are increasingly being called upon to take proposals for inclusivity and diversity from dream to reality. For Ann Messenger, Chair of the Institute of Managers and Leaders, this representation is key: ‘Gender equality isn’t just a good model for business, it’s a good model for society. At the Institute of Managers and Leaders we believe in “creating better managers and leaders for a better society”, and a better society includes the equal and fair treatment of women’. In many sectors that advocacy is beginning to pay off. In its recent Gender-Equality Index Bloomberg selected 230 companies committed to advancing workplace parity. Participants included firms from 10 sectors across 36 countries, and with a combined employment of more than 15 million people – approximately 7 million of whom are women. The resultant data revealed a 40% increase in females in executive level positions between 2014-17, whilst finding that 60% of firms conducted compensation reviews, aimed at identifying gender-based pay disparity. In the UK in 2017, a legal requirement for gender pay gap reporting came into force. Findings published in 2018 found that men were paid more than women by 7,795 out of 10,016 companies and private firms, whilst no sector paid women better on average than men. The introduction of gender pay gap reporting and the subsequent findings, having provided the most comprehensive analysis of disparities in pay in the UK to date, has since spurred companies into action. In its official advice for companies reporting on the gender pay gap, the UK government advises the appointment of diversity managers and specific task forces, as a counter to potential biases and an additional form of employment accountability. Quotas to get more women on large company boards are demonstrably successful, whilst the inclusion of multiple women in shortlists for recruitment and promotions increase the odds of more equal representation. Flexibility is another essential consideration in the drive towards establishing an equal workforce. The GEI found that 34% of firms it consulted with offered programmes and policies aimed at recruiting women looking to return to work after a career break. As primary caregivers women are disproportionately affected by rigid working schedules: by rethinking the 9 to 5 and in offering opportunities to work from home, companies are increasingly empowering female workers and in particular mothers to “have it all”. As of 2018 meanwhile, all Member States within the European Union are required to offer some form of paternity leave. Popular global support for employers making it easier for men to combine childcare with work is now a record 72%: in Sweden and Norway, the introduction of the “daddy quota” procures benefits that are as much related to individual and familial wellbeing as they are to economic gain and workplace equality. In addition to a heightened desire to progressive and flexibility for workers, the need for innovative practices and outcomes has also been at the forefront of cultural drivers for equality within the workplace. For Omar Ishrak, CEO of Medtronic and a supporter of the International Women’s Day 2019 ‘Balance for Better’ pledge, substantial inclusivity and diversity is essential for fostering innovation and for moving the organisation forward. Under Ishrak, Medtronic is committed to hiring and training women in fields where female representation is significantly low, such as science, technology, engineering and mathematics (STEM). In London in 2019 the Women in STEM Conference seeks to counter that, convening to offer a leading platform, to celebrate women in STEM and to evaluate the ways in which employers and providers can enhance the participation, recruitment and advancement of the female workforce. Innovation through equality is a sentiment echoed by Julie Sweet, Accenture’s CEO for North America. In recognising the direct correlation between economic advancement and the empowerment of employees the organisation’s report, she says, ‘provides a roadmap to creating a culture of equality, which is essential to unleashing innovation, competitiveness and growth’. The significance of this potential is of paramount importance in 2019: in economic terms, a McKinsey Global Institute report found that closing the gender pay gap and advancing women’s equality could add as much as $28 trillion to the annual global gross domestic product by 2025. Though gender equality continues to rise, there is also much that remains to be done. In the US, after reaching an all-time high of 32 in 2017 the number of female Fortune 500 CEOs declined 25% in 2018, falling back down to 24 – and totalling 5% of the overall leaders of the country’s largest companies. In the UK meanwhile, the percentage of female executive directors working in Financial Trade Stock Exchange 100 index companies dropped from 7.7% in 2017 to just 6.4% the following year. Critics cite an unwillingness of the part of such businesses to seek out experienced female candidates and a widespread failure to promote women internally; for Charlotte Valeur, chair of the Institute of Directors, such claims are tantamount to a lie. Greater visibility and transparency around issues of gender disparity, abuse and violence are of unequivocal importance to fostering gender equality within the workplace. In elevating women to senior positions in industries across the board and unlocking the potential of the female workforce through flexible working and transparent practice, companies can create a culture of equality that directly and tangibly increases innovation, wellbeing and economic outputs. To create a workplace environment in which all can thrive gender equality and pay parity must remain an open dialogue and an ongoing task undertaken equally between men and women: and together, we rise. 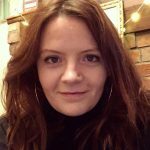 I’m a freelancer based in Leeds, with a background in the third sector and an interest in writing words on just about anything: from art critiques, film reviews and fashion analyses; to political, social and economic commentary. I have a particular penchant for public history, and am at my most content discussing and dissecting the relationship between past and present.